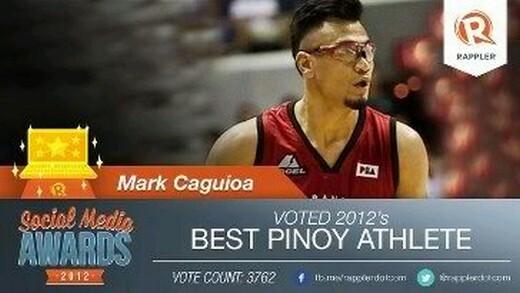 Mark Caguioa Best Pinoy Athlete Awardee In Rappler Social Media Awards 2012: Congrats! Let’s all congratulate Mark “The Spark” Caguioa as he has once again added another feather on his hat. He was named as 2012’s Best Pinoy Athlete by Rappler.Com’s Social Media Awards 2012. The reigning PBA MVP garnered a total of 3,762 votes. That proved to be enough for him to snag the Award. Congrats Mark!